You are here: Home / Printables / Plan for the new year with this 2018 printable monthly calendar! Plan for the new year with this 2018 printable monthly calendar! Hello, dear readers! Can you believe it’s time to start thinking about 2018 already?! Well, I’m here to help you maybe plan for the new year with this 2018 printable monthly calendar. Just like with the 2017 printable monthly calendar, I’m sharing this printable calendar over on Kenarry: Ideas for the Home. But, don’t worry, Carrie’s making this calendar available as a free download for you as well! This calendar was created with my love of all things pertaining to vintage botanical illustrations in mind. As you may know if you’re a regular reader here at The Birch Cottage, there are tons of vintage illustrations that are part of the public domain digital collections. Two of my favorite sources are the NYPL and Biodiversity Libray. You’ll find hundreds of thousand of maps, botanicals, nature, wildlife, bridges, farm life, fish, Beatrix Potter – you name it! These vintage illustrations are just amazing works of art. They showcase the artistic capabilities of people from 100 or even 200 years ago. Just stunning! 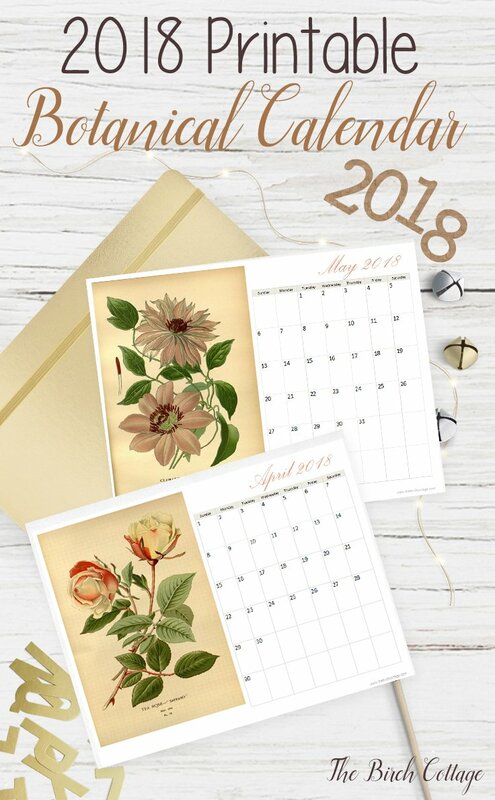 Like I said, I’m sharing this free 2018 printable monthly calendar featuring vintage botanical illustrations on Kenarry: Ideas for the Home today. So, be sure to hop on over to Kenarry and download your free 2018 monthly calendar! 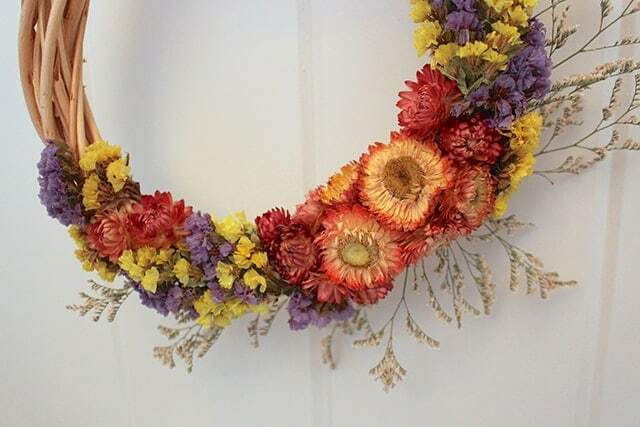 I just adore this Dried Flower Wreath from Amanda at Life at Cloverhill. The colors just burst with autumn beauty and look stunning against the white door! Did you know that pizza is probably my favorite food? It is! I mean, not your ordinary cardboard, no flavor kind of pizza. I’m kind of a pizza snob. I like good, oozing with cheese, pizzeria style pizza. 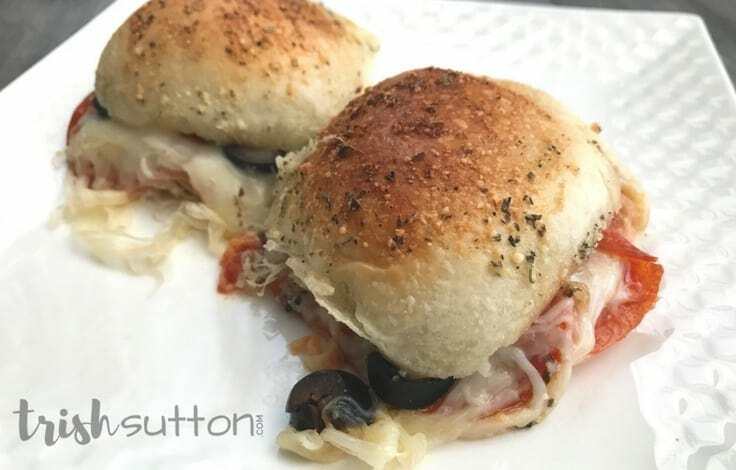 When I saw this recipe for Pepperoni Pizza Sliders from Trish Sutton, I just knew I had to give this recipe a try! As of the writing of this post, these are the latest additions to Kenarry: Ideas for the Home’s Etsy shop. Carrie created these lovely autumn inspired prints. 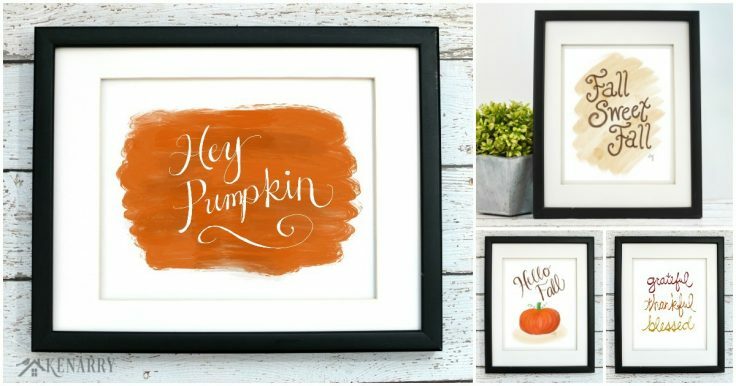 For a super discount, you can head over to Kenarry: Ideas for the Home and read all about these new Fall Art printables. While you’re there, be sure to sign up to be a Kenarry Insider so you’ll have access to all her fantastic subscriber exclusives! Since i Teach knitting and crocheting to earn some spare money. I have been looking for all baby things , cause i donte them to the Hospitals in NiQ. I also donate blankets to the local Nursing homes. And I donate hats to the soldiers in Iraq to wear under their helmets. so much more also. oh yeah , i also donate blankets to cancer patients cause it's so cold when they do Chemo !